A very successful hydro open day was held in Tiverton on the 21st of January. Over 80 people attended the event which publicised the Bolham hydro project to local people. 64 feedback forms were filled in, of which 61 were in favour of the scheme and the remainder uncertain. Brendon Energy is applying for permissions for a hydropower scheme on the River Exe, projected to generate 450,000kWh of electricity each year, saving 240 tonnes of CO2 yearly. Financial projections indicate the project will generate a substantial annual Community Fund over the 20 years of the project. The scheme features a ‘fish friendly’ Archimedes screw turbine. We will be holding a drop-in community engagement event in Tiverton in the New Year, and we would love to have your support! Please come along to Tiverton Town Hall, St Andrew Street, EX16 6PG on Saturday 21st January. We will be there from 2-5pm answering your questions, showing plans and photos, and offering tea, coffee and cake! 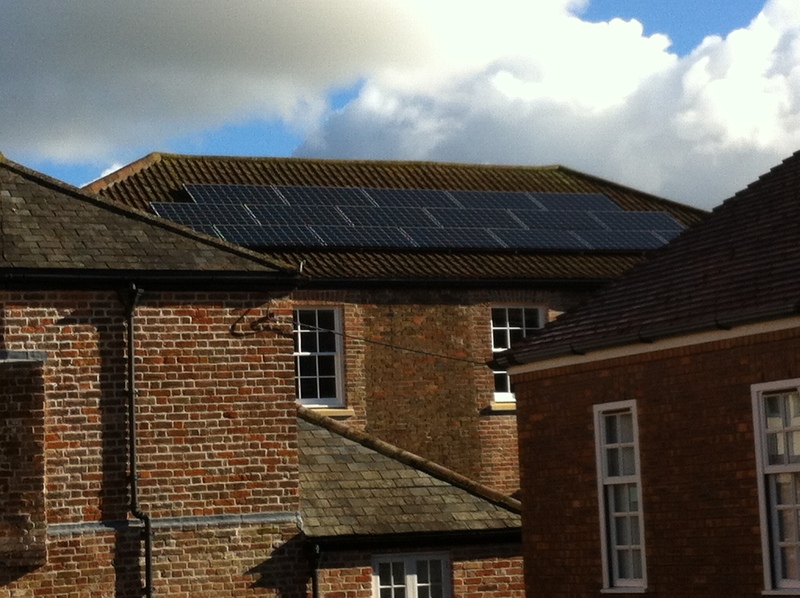 The green energy being produced by the Brendon Energy solar panels has more than doubled over the last twelve months. The new installations that have come onstream mean that output by the early autumn of 2016 had already doubled the 2015 figures. Brendon Energy continues to install new renewable electricity power stations as part of our local contribution to the fight against climate change. Two new roof mounted solar arrays have been successfully installed on two local schools – Somerset Bridge Primary School in Bridgwater and Court Fields School in Wellington. These 30kW and 40 kW schemes will help to reduce the school electricity bills and will also generate income for local community funds. Amidst all the doom and gloom stories about the terrible impact that the government policies are having on the renewables sector this year, it is worth remembering that BE is part of a big energy co-op family. In the UK there are 224 renewable energy co-ops with 16,880 members and an annual turnover of £8.9 million (figures from Cooperatives UK). These figures are dwarfed by the scale of energy co-ops in many other places such as Scandinavia and Germany where the governments are more supportive. They show what can be achieved – perhaps one area where we would benefit from being more European in our outlook? Another year, another record for green energy production by Brendon Energy – over 74,000 kWh! The 2015 figures were helped by the installation of four new solar pv power plants during the year, with three of them coming on stream just before the end of the year. They, together with the new projects in the pipeline for 2016, should give another large boost to our renewable energy output next year. Many thanks to all our members for doing their bit in the fight against climate change!